Just a squeeze of fresh lime juice in a recipe gives it a vibrancy and brightness that wasn't there before. It offers a welcome tartness, balancing the flavors and bringing out the natural character of fruits and vegetables. Fresh lime juice is a key ingredient in guacamole, used not only as a flavoring but also to keep the avocado from turning brown. A squeeze of this citrus fruit over a piece of grilled fish is the perfect finishing touch, and no respectable margarita would be made without it. Recipes calling for lime juice don't always list the ingredient in the same way; sometimes it is "juice from one lime," but it may also be a specific measurement like "1/4 cup fresh lime juice." So how do you know how many limes you need? There are several equivalents to simplify shopping and make cooking your recipe a cinch. Most recipes calling for limes will simply list them as "limes" in the ingredient list. The limes we are most familiar with are Persian limes, also called Tahiti limes. They are oval-shaped fruit with thick, vivid green skin. This is the type of lime you will find in your grocery store's produce section. If you are making a dish calling for ​​Key limes, however, you should be looking for a smaller fruit (about the size of a ping-pong ball or golf ball) that is lighter in weight than a Persian lime. Key limes have a thinner skin, are more spherical shaped, and contain more seeds. Although similar in taste, there are some distinctions between the two. Key limes are a bit more acidic than Persian limes and have a strong, complex scent. 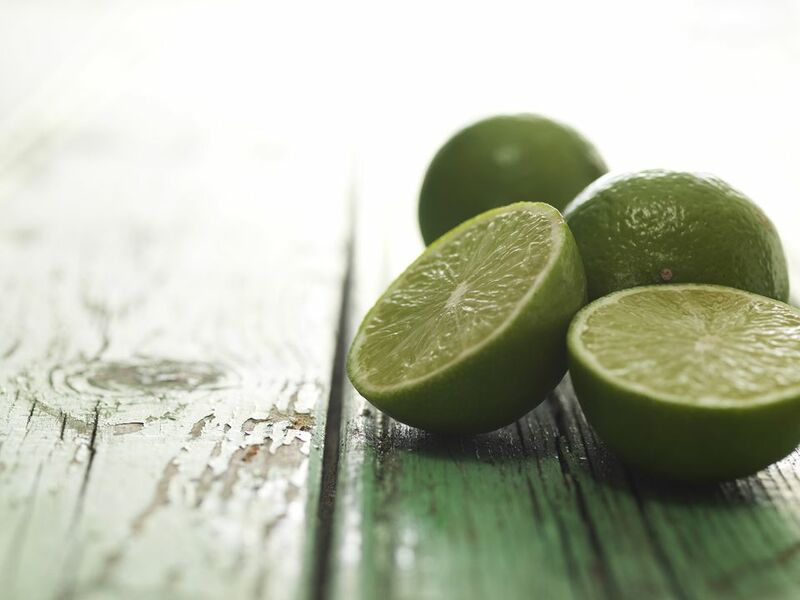 They are also juicier than a regular lime, but since they are much smaller you would still need more key limes than Persian limes to reach the same amount of juice. Perhaps your recipe calls for a pound of limes or a few tablespoons of fresh lime juice. So, how many limes do you need? No worries; there are some simple equivalents you can follow to make the recipe turn out perfect. Any time you can, try to use fresh lime juice if a recipe calls for it, as the flavor of fresh lime juice is much brighter and more intense than the bottled variety. But if you find yourself in a pinch, you may end up reaching for a bottle of lime juice. Although it seems like a simple swap, you need to be careful when substituting bottled lime juice for fresh. Check the label to be sure it is pure juice; some varieties, such as the popular Rose's label, are sweetened with high fructose corn syrup. If you are unable to find limes or didn't plan ahead, other citrus fruits like lemons will usually work in a pinch, although the end result will not be exactly as intended. Key limes are available year-round, mainly from Mexico and Central America, and in the summer you may be able to find Key limes from Florida. (Some residents of the Florida Keys and true Key lime pie aficionados will only use Key limes from the Keys.) If you can't find them anywhere, however, you can substitute a combination of regular fresh lime juice and fresh lemon juice in equal proportions. In general, when substituting the lime and lemon juice mixture for Key lime juice, you should adjust the amount so it is 2 to 3 times less than the amount of Key lime called for in a recipe. In other words, if you need 3 tablespoons Key lime juice, you will use 1 to 2 tablespoons lime and lemon juice mixture.